What is the best way to introduce and present your business? You’ve asked yourself this question a million times. The traditional methods don’t bring the desired results. You need something new and effective to promote your product/service. Have you tried creating videos? What about animated explainer videos? Renderforest provides free explainer video templates which can be used for making product explainer videos, promotional videos or intros. Meet a huge family of 3D animated characters, scenes and icons crafted in two styles and 4 transitions to alive your unique story. A collection of about 800 scenes of different fields will create a life of motion design and maximize your business exposure. Perfect for animated commercials, explainer videos for your services or short product promo videos which will help you to boost sales and create a super functional project. Get rid of the boring content and inspiration killers. Amaze your audience and create a fascinating video with the help of our super-functional Explainer Video Toolkit. More than 200 interactive scenes, including characters, various items, kinetic typography, video and photo holders and more. It's the largest directory of astonishing animations from various fields, breathtaking music library and up to 30 minutes of successful project initiative. The Whiteboard Animation Toolkit is here to provide a different approach to video marketing. With more than 450 interactive scenes, animated characters, featuring design and icons, you no longer need to struggle to have a creative video. Simply, build your story and turn it into an amazing video. You’ve decided to make an animated explainer video to tell your business story in an engaging way, increase conversions, maximize your business exposure and boost sales? 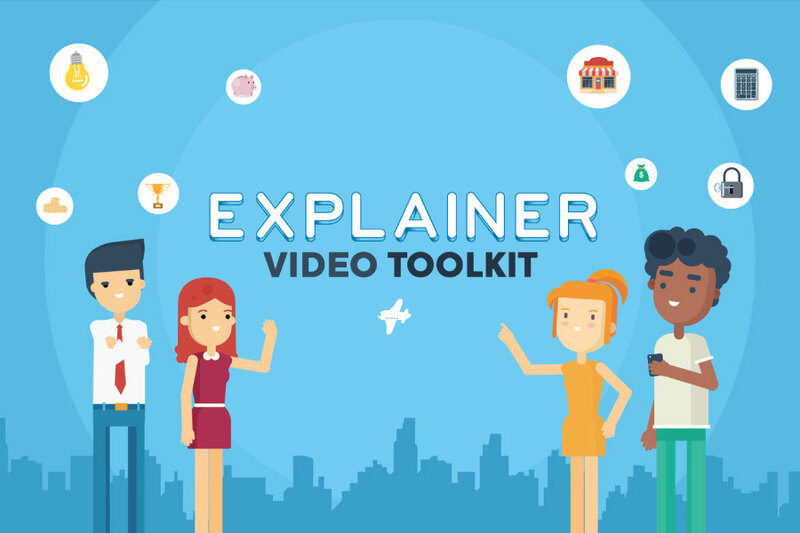 Then it’s time to think about the world's best explainer - the Explainer World Toolkit. A wide range of possibilities with more than 200 icons, characters and animated scenes from different fields combined in one template. Available in 3 different styles with more than 5 dynamic transitions, this super-functional template is a real innovation in the aspect of design. Boost your conversions and drive leads to your business with an engaging professional video created with this toolkit. Business Character Toolkit has over 100 corporate scenes in various categories which help you create videos for business, education, startups, infographic, corporate presentations and more. This template supports your own videos and images. Try the best business promotional video template today. Bring your ideas to life with the help of Worldwide Travel Toolkit. 150+ short animations, backgrounds, icons, and travel destinations are at your disposal to create your lovely projects. Perfect for presentations, holiday services, broadcast travel show opener, hotel promo, air-tickets booking company, travel, touristic agencies and projects alike. Simply upload your images, add music, alter the text and come away with your greatest projects with Renderforest. It's free! Use the Mascot Stories Toolkit to generate a catchy animated human motion. Give flesh and blood to your characters and let them run the action. An engaging personalized video with unique cartoon characters, icons and animated scenes will bring emotions to your very own story. If you are creating something comprehensive, large, deep and detailed Whiteboard animation pack is the best solution. The template includes character animations, various icons, backgrounds, environments, and many other scenes to stand out from the crowd. It has pre-made presets which can be used to create videos for services, businesses, startups, companies and a lot more. Use our new and innovative My Business Promotion template to present your company or service to your customers. It features a slick and clean look, modern style and advanced, high-quality motion graphics to drive your sales over the roof. Music and sound effects are created specifically for this template. Simply upload your company logo and enjoy the perfect representation of your business or service. Do you want to highlight your images with a comprehensive descriptive text? Then we are in the same boat. Simply grab Renderforest's new Minimal Titles Pack and start the creation of your outstanding video. Use 25+ unique animation titles which can be used for intros, films, trailers, movies, or even promotional messages and announcements. Customize the titles to get a unique and professional video in minutes. Digital Media Agency Pack is just made for those who have a website and want to increase the visits. You can easily take your business to the next level. More than 40 interactive scenes of graphic design, mobile and web development, social media, online payments and email marketing, video, image holders and many more are included. Promote your app, service, product, website or even the whole company mission. Make it true by just uploading your image, altering text and music and you are done. Try it out today with Renderforest. Sci-Fi Space has an awesome and cosmic feel and helps to create cinematic 3D videos by using 25+ pre-made scenes. Featuring futuristic technologies, floating through space and different sound effects, this flexible template can be used for cinematic trailers, promotional videos, intros and a lot more. The template includes text holders, photo and video holders and logo animations which turn any project into a professional realistic video. Industrial Development Pack helps you create a deep atmosphere of high technology, and immerse you in the world of the future. Don’t lose your chance to become a part of high technology and the world’s economics. Including more than 25 scenes, this template is suitable for trading forums, engineering, agricultural and industrial project. It’s a perfect way to highlight your construction statistics or economic growth. Want to promote your industry right now? It’s easy. Simply upload your images, alter the text, add music, and enjoy the benefits of your successful project. Free to try with Renderforest! Experience the vibrancy of nature through the Photorealistic Nature Pack. More than 30 various scenes of natural landscapes, beautiful backgrounds of exotic tropical flora, panoramic views of mountains, picturesque and ancient desert scenes, fantastic and magical jungles along with logo introductions, image and video holders are included. Featuring an awesome atmosphere of nature in 3D and alluring sound effects, this template is an ideal solution for cinematic openers, intro, and outro for realistic presentations on ecology, nature or biology and more. Try it out today for free! Stay closer to nature. Have a business idea and want to promote it in the best way? Animated Business Promotion is just what you are looking for. Your success in business depends on the promotion. Featuring smooth transitions and engaging corporate illustrations, this project is perfect for workshops, new project presentations, product or service promotions and more. 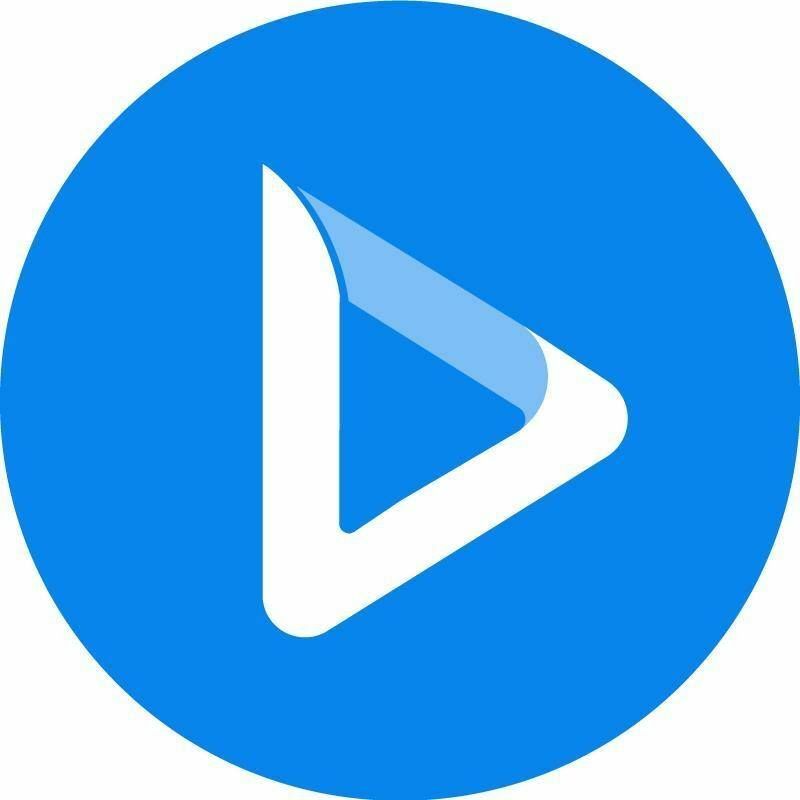 Simply upload your images, alter your texts, add music and preview. Try it out today. Metallic Titles is a great way to bring excitement to your audience. It's the perfect template for showcasing a sporting event or advertising your fitness company. This project features alterable metallic text, energetic transitions, video and image uploads, and up to 3 minutes of run time. The best way to grow a good deal of curiosity is here. With the help of the Cinematic Action Trailer template, you can showcase your dramatic and cinematic titles while giving your video an impressive look. Perfect for action movies, intros, trailers, cinematic and epic projects, dramas and many more. Make your projects newish and attractive. Simply upload your images, alter the text, add music and hit preview. Give it a try with Renderforest. Introduce your company in style with the Company Introduction template. Create an elegant presentation and use it in your lobby, waiting area to keep visitors up to date on new members of your team, to showcase the deals and specials. Featuring a variable color palette, custom music, and uploadable pictures, this template is a perfect way to highlight news for your business. Try it out today. You have the best delivery system and you help to deliver whatever your clients want? Their happiness is your great benefit, but you are in search of an amazing promotion? You are in the right place. Logistics Company Promotion is the best fit for your trucking industry, logistics company or any other presentation related to transportation. Promote your best delivery system today with Renderforest. Connect with nature by using this Inspiring Promo template. Featuring beautiful illustrations of Space and the Underwater world, urban and rural scenes, traveling and many more, this template is perfect for business, high technology or scientific projects, any service or company promotion. Simply upload your logo, type your text and Renderforest will turn your project into a wonderful and unique presentation. Interested in promoting agricultural products? Use this Organic Food Promotion to open up new markets. This is a perfect way to raise awareness among consumers. Use this template in the agricultural, food and forestry sector and improve your competitiveness in this field. Type your text, upload your logo and enjoy your success today for free. The Multi-Purpose Character Promotion is a great template for you to explain and promote your business, product, service, store or company. Just upload your logo, change the text to suit your own story, customize the theme color, and enjoy your brand new unique promo video. Try it out today, for an intro or for a company explainer video. Character Service Promotion helps to promote the benefits of your service or company. It has a simple yet interesting flat, heavy line animation style with smooth transitions and customizable elements. Easily change any text, icons, or logos you want, to create a personalized video project that renders in minutes. Try it out today, for a tutorial video, a staff intro, or for a company explainer video. Many people are willing to describe and sell their products or services in a distinctive way. Present the advantages of your product and provide with an overview of it with the uniquely designed scenes and solutions. Choose one of the 2 beautifully crafted styles of the Retail and Product Commercial Promo template and create a store and service presentation, company portfolio, marketing or commercial video and a lot more. Are you great at writing books, but never knew how to promote them? Then this Character eBook Promotion template is a perfect solution, whether it is a children’s book, business, horror book or a cookbook. Featuring attractive character animation and customizable colors, this template is created to promote your eBook. Just type your text to suit your own story, customize colors, and enjoy your brand new unique promo video. Try it today for free. Use this Real Estate Realtors Promo to showcase and promote your real estate services and properties and make yourself stand out from competitors. Take an effective and straightforward approach to getting new customers. This template is perfect for advertising corporate business services, real estate, insurance, broker agencies and more. Type your text and show you care about prospective clients unique real estate needs. Have you ever dreamed of making your video in the style of your favorite game? Get inspired by the most popular game in the world. The Minecraft Titles Pack is a unique template where every text is made of blocks. More than 10 various scenes included. This template is ideal for gaming video promotions, a game-themed Youtube channel, creative trailer commercials and more. Simply alter your texts and get a unique and professional gaming video in minutes. Try it out today. Contemporary Art Promotion is a modern and multi-functional template that helps to create cinematic 3D videos using pre-made 30 scenes. Featuring 3D elements in a clean futuristic atmosphere and abstract title animation, this flexible template can be used for cinematic trailers, openers, promotional videos, intros and a lot more. The template includes text holders, photo and video holders and logo animations which turn any project into a professional video. The Colorful Typography Promotion template is designed with eye-catching colors that capture the attention of your customers and viewers. You can create an attractive kinetic typography slideshow for your business using this template in minutes. Simply write your text, select your music, and get a professional slideshow today. Are you looking for a cinematic film title or a movie trailer? Across the Universe might be just what you’re looking for. It’s an inspirational, high-quality yet flexible template with a realistic appearance. Featuring particle effects floating through outer space, this cinematic template is perfectly suited for openings, endings, and anything in between. Just customize the text, and get a unique and professional video project in minutes. Present your products and services in a completely new way with The New Edge Promotion video project. This is a bright and minimalistic way to introduce your company or logo. This colorful introduction video will help you intrigue your audience with minimalistic colors and a flat design style. Create your own animated commercial, inspirational explainer or company introduction video in minutes. Using explainer videos is a great way to hook your visitors into learning more about you or your company. So, don’t waste your time and start creating your video now. All our templates are at your disposal. You can browse them here.